Please come by and say hello if you're planning on attending these events, we enjoy visiting with our old friends and making new ones. On May 20, 2010 Mr. Ugo Beretta, President and CEO Beretta SpA, flew to the New York Beretta Gallery for an exclusive invitation only event to introduce the first wingshooting lodges and charter members of the Berretta Trident Program. Highland Hills Ranch is proud to announce that they were one of four lodges worldwide selected into the Trident Program. To put this achievement in perspective, Beretta International has never endorsed lodges in their 500 year history. Three years ago, Beretta started their search worldwide to find lodges that aligned with their values and tradition of exceptional quality. The Program is similar to the Michelin Star rating system used in the restaurant industry. 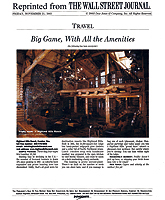 Beretta relied on hunting professionals and wildlife experts to evaluate and rank lodges. During the respective game seasons, lodges were judged upon quality of hunting, guest services, food and wine, the hospitality and professionalism of guides, and the performance of the dogs. “Until now, no such rating-system has been utilized at hunting and shooting venues,” stated Christopher Merritt, General Manger of Beretta USA. The Trident rating system guarantees that any shooting sport venue bearing the Trident mark is a top quality operation and a worthy sporting destination. Further, Beretta stresses that the Trident mark is earned and not purchased. In April, HHR was selected to the Trident Program due to the exceptionally high marks received in each of the criterion categories. Further, HHR is the only lodge to win the Orvis Lodge of the Year award and to be selected into the Beretta Trident Program. The recent recognition by Orvis and Beretta is due to HHR’s ongoing commitment to excellence by providing our customers with an unmatched hunting experience coupled with world-class amenities and services. Highland Hills Ranch was awarded the prestigious Orvis Wingshooting Lodge of The Year at the Orvis Endorsed Lodges Rendezvous held in April, 2004 at the Barnsley Gardens Resort in North Georgia. 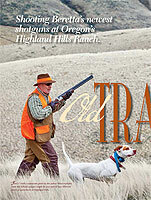 The Orvis Endorsed Wing Shooting Lodge of the Year, 2003 - 2004 is Highland Hills Ranch in Condon, Oregon. Most years we have a tough decision to make around the end of February. This year it was simple, Highland Hills stood out early on and it was obvious they were going to get the recognition. We use a number of vehicles to grade each lodge every year, some of these are known to the lodges some are not. The most obvious are client reports and letters sent to us by Orvis customers, positive publicity generated, etc. 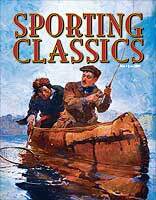 There are only 24 Orvis Endorsed Lodges in the United States, rarified air to begin with and to rise to the top is a truly envious achievement. We proudly received A 2nd award from Orvis as their Endorsed Wingshooting Lodge of the Year in 2012 and were named as finalists in 2011, 2013 and 2014. 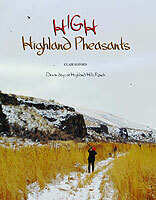 Highland Hills Ranch has been the subject of numerous TV shows aired on Versus, ESPN and the Outdoor Channel. If you would like a complimentary copy of any of these shows please register here. 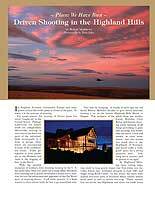 The New American Sportsman with Shari LeGate "Oregon Wingshooting". Wingshooting The World with Chris Batha "Driven Pheasant". World of Beretta "Oregon Mule Deer". Wingshooting the World with Chris Batha "Highland Hills Ranch Grand Slam". Wingshooting the World with Chris Batha "Family Outting". World of Beretta "Highland Hills Ranch Pheasants"
The Federal Experience with Tom Abell "Oregon Upland Birds"
Benelli's Dream Hunt "Oregon Pheasant"
"Driven Shooting in the Highland Hills"
Few wingshooting destinations across the globe have achieved the perfection found at Highland Hills Ranch. From the incredible bird hunting to the unforgettable hospitality, HHR has created one of the world's finest wingshooting experiences. It's hard to imagine a more perfect upland hunting experience, abundant habitat, quality birds, gourmet food, exquisite lodge and warm hosts. Please reserve the same week for me for life. I had one of the best hunts and hunting experiences of my life. The bird hunts were plentiful. The guides and dogs were great. The food was remarkable, and the cooks were beautiful. Your family really made all the hunters feel like family. The experience was memorable and I would recommend this trip and experience to everyone. It is really difficult to put into words the beauty of the ranch. I can't wait to get back. October can't get here quick enough, so I can return to this little slice of heaven on earth. The food was outstanding, the accommodations perfect, and the shooting superb. My trip to Highlands Hills Ranch was the best continuing education experience of my 15 year career. The atmosphere you have created and the hospitality shown is second to none. A world class lodge with top notch hunting combined with an atmosphere that makes you feel at ease and at home. Through the years I have hunted at many of the top-ranked preserves from coast to coast and I left each one thinking something was missing. Highland Hills Ranch is the only exception. Not a single detail has been overlooked, including wingshooting that ranks among the very best I have experienced.